JASCO Corporation was founded in 1958 to provide the scientific community with optical spectroscopy products. In the mid-1950's a group of researchers in the Institute of Optics of what is now Tsukuba University needed an Infrared Spectrophotometer for their research. Since a commercially available instrument was not yet available at the time, they undertook the challenge to develop their own. The result was quite a success - a reliable instrument with excellent optical performance. As a second result, other research groups asked them to replicate the instrument for use within their laboratories. 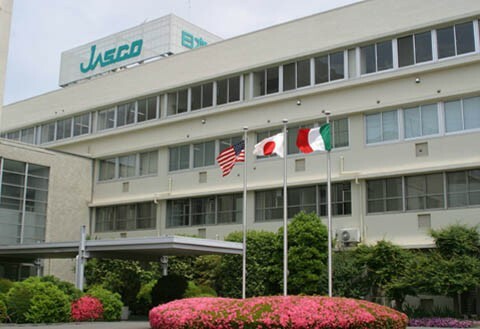 With the increased demand for more instruments JASCO Corporation was founded in 1958 in order to provide the scientific community with optical spectroscopy products. Founding members included World famous physicist Yoshio Fujioka and Nobel Prize winner Shinichiro Tomonaga. Over the last 46 years JASCO Corporation has continued to attain the highest standards in terms of optical performance, ease of use, and reliability. JASCO has grown to become a strong global company with sales and support worldwide. JASCO Incorporated was founded in Maryland in 1972 to handle operations throughout the Western Hemisphere. JASCO has been an OEM (Original Equipment Manufacturer) for a number of companies over the years supplying instrumentation to Waters, Varian, Bio-Rad, LDC, Gilson, Dionex, Beckman, and IBM Instruments.